Click on your login name at the top right of the page. Choose Account Settings from the menu. 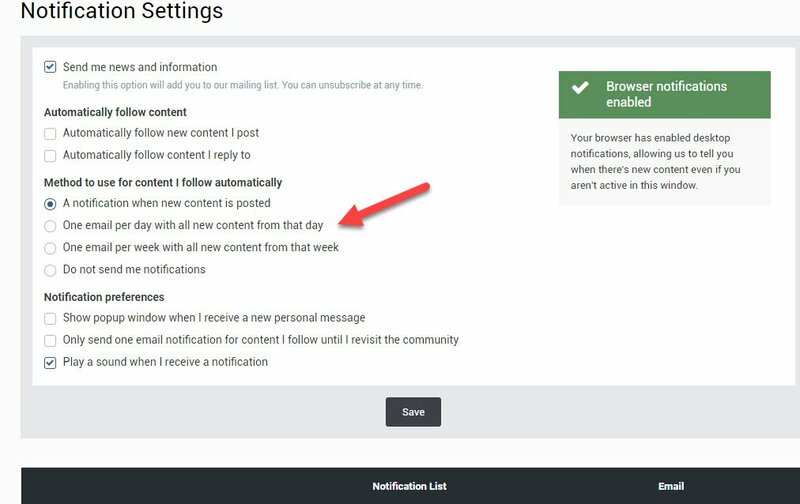 On the right of Account Setting under Other Settings click on Notification Settings. Hi! I'm new to Renntech. How do I access the TSB's (get them to open up). When I select one all I get is "Loren" with a category displayed, but no further information or link/PDF or other. I get the same response when trying to view documents of any kind. I cannot download either - says I do not have permissions, so maybe I don't have permissions to view TSB's or other documents? I finally figured out how to see a list of all the TSB's - a brief "how to search" tutorial might be helpful for newcomers too. The TSB’s, like nearly all other Porsche documents are the copyrighted intellectual property of PCNA, and therefore not available on this website. OK! Thank you very much for your quick reply!